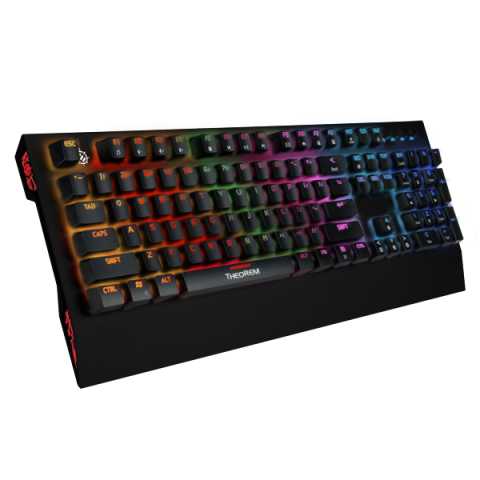 Rise above the competition with the ENHANCE Theorem Gaming Keyboard. 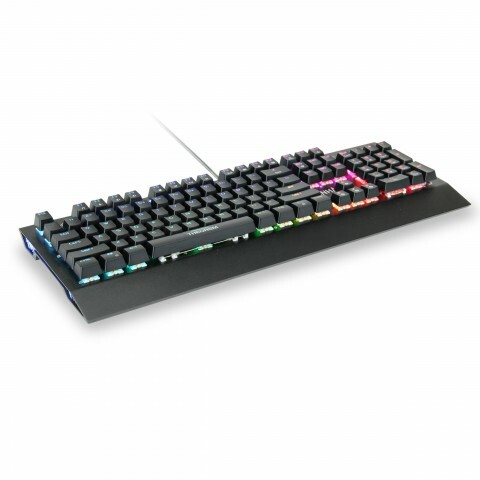 Designed with premium GATERON blue mechanical switches, a full software customization program, N-Key Rollover, Anti-Ghosting, and 16.8 million colors to choose from, the Theorem Keyboard offers a competitive advantage in all your favorite games. 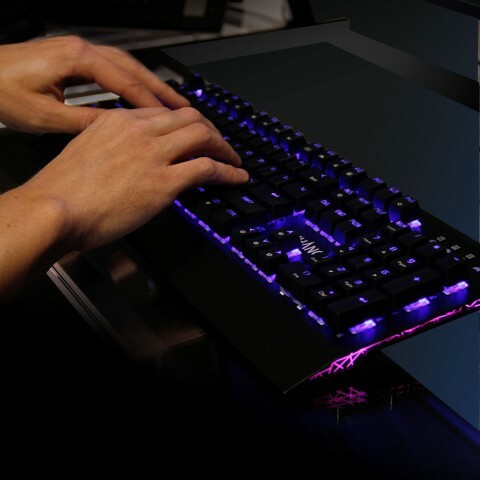 A full metal brushed aluminum design with a dark black finish brilliantly contrasts the 16.8 million color selection availability, bringing not just performance, but aesthetic to your gaming set up. 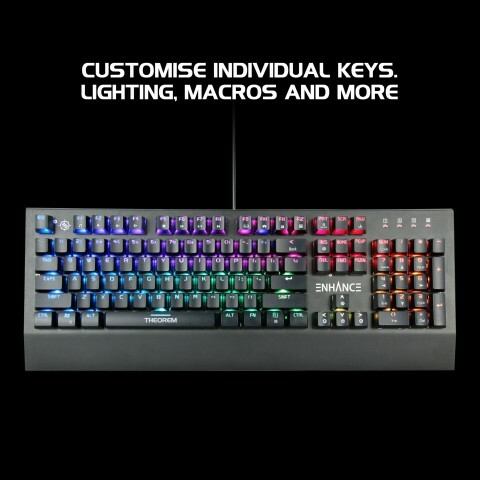 Select from 13 stunning lighting effects or create your own lighting design using the fully featured Theorem Keyboard Software. 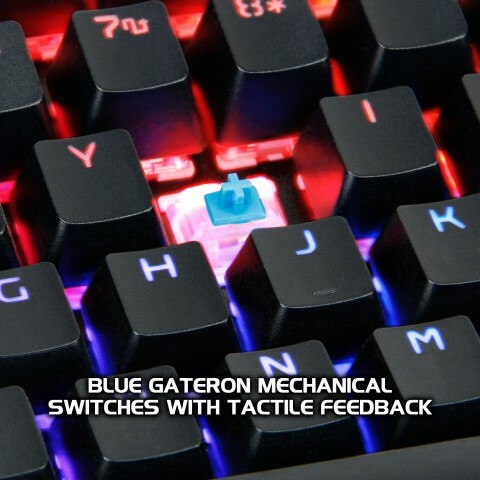 Blue GATERON switches offer an incredible tactile experience with responsive and accurate keyboard control. 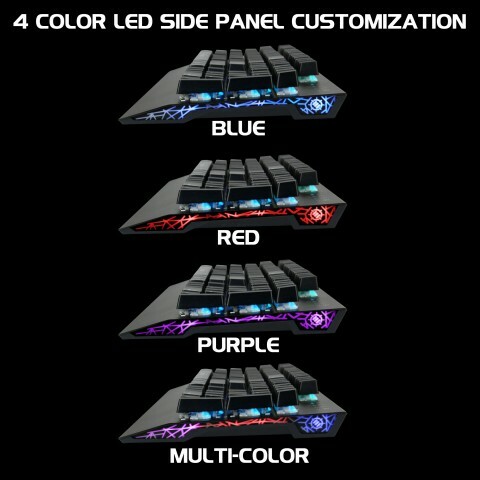 The keycaps are double shot injected with UV protection to retain letter design and resist wear and tear. 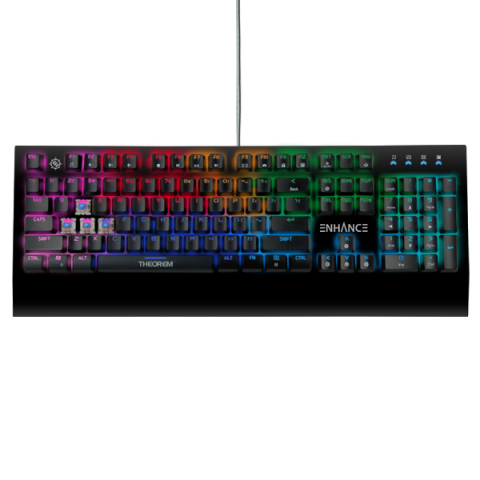 12 multimedia keys provide quick shortcuts to important media controls and applications. 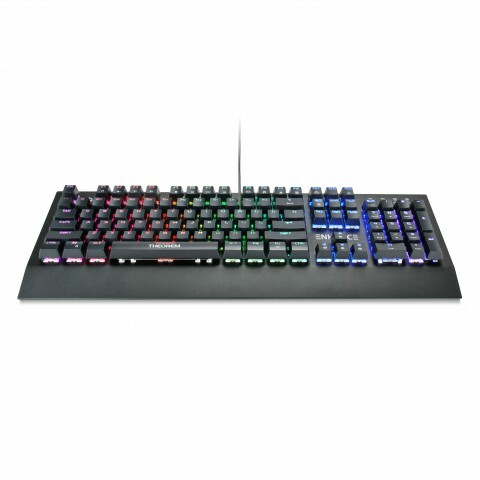 The Theorem keyboard also includes WASD and arrow swapping for left-handed players, Anti-Ghosting to improve accuracy, and N-Key Rollover to allow for macros and intense gaming strategy. Rise above the Rest. 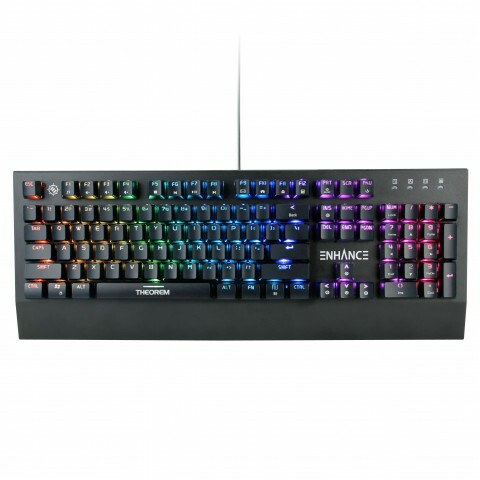 ENHANCE Gaming.